Success criteria should be generated by both the teacher and students. However, this criteria is somewhat standard. The criteria is about voice, word choice, organization and ideas. 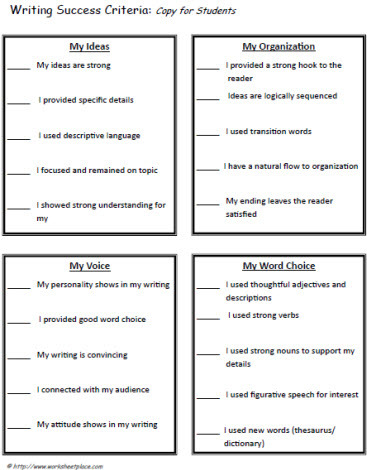 These cards should be printed on card stock and students should have copies to reference. Students should review their work agains the success criteria and make revisions based on the criteria if necessary.